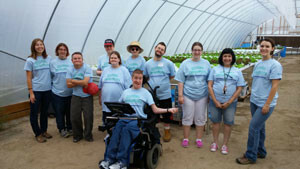 Growing Opportunities, an urban farm in Bloomington, Indiana, puts disabled, low-income and unemployed/underemployed adults to work in its hydroponic greenhouse. As a result, it’s producing bumper crops of people with newfound confidence and skills. Named after the first root to appear from a seed, Radicle Farm Company of New Jersey is rethinking the sustainable leafy greens concept. 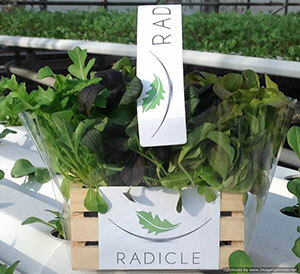 Through an aggregated network of local hydroponic farms, Radicle offers its living salad products to the wholesale and retail market. Many restaurants boast a farm-to-fork experience, but how many diners are able to eat food harvested right before it arrives on their table? Fresh with Edge, headquartered in Rochester, Minnesota, makes it possible. Fresh with Edge has found its niche in moving the farm indoors―to homes, restaurants and grocery stores. Its secret? 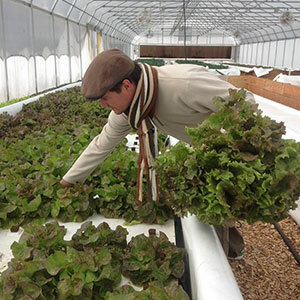 Removing the need for soil by utilizing aquaponics and hydroponics to grow greens on towers. 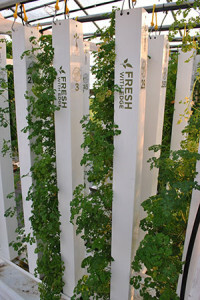 Herbs and greens at Fresh with Edge grow on 5-foot vertical towers in a greenhouse system. When ready to harvest, the towers are moved to a location where they will be consumed, such as a supermarket or restaurant. Cedar Point Church in Maryville, Tennessee started growing its hydroponic garden for two reasons: to develop a program offering a sustainable and healthy food source to its church family, and to build a sense of partnership between church members and the community. An inside shot of one of the Greenhouse Initiative Projects. NY Sun Works, a non-profit organization that builds innovative science labs in urban schools, partnered with a small group of parents at PS 333, The Manhattan School for Children, to found The Greenhouse Project Initiative in 2008. “Through our Greenhouse Project Initiative, we use hydroponic farming technology to educate and teachers about the science of sustainability,” says Manuela Zamora, NY Sun Works director and director of education programs. When room to farm in a city is scarce, look up. 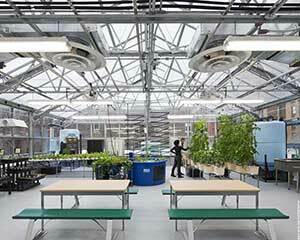 Montreal-based Lufa Farms built Canada’s first commercial hydroponic urban rooftop greenhouse in 2011. 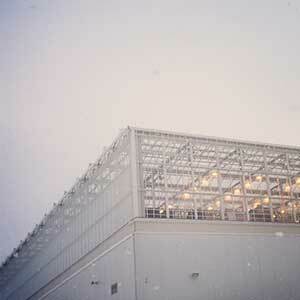 In the late summer of 2013, Lufa opened a second, larger rooftop greenhouse in Laval, Quebec. 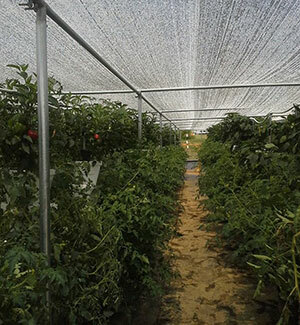 Although Lufa always intended to add another greenhouse to its operation once the 2011 site opened, the company wanted to observe how the first project did first, says Lauren Rathmell, greenhouse director and founding member. Jack Waite harvests at Aqua Dulce Farms. Photo courtesy of Aqua Dulce Farms. Jack Waite, founder of Agua Dulce Farm in Austin, Texas, is truly is a jack-of-all-trades. 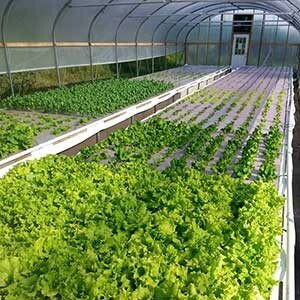 By combining his varied background in accounting, engineering, botany and nonprofit management, he has realized his dream of running an aquaponics farm. In recent weeks, this interesting startup reached full operational capacity. Along the way, the farm’s journey has been tested with challenges and sprinkled with luck.